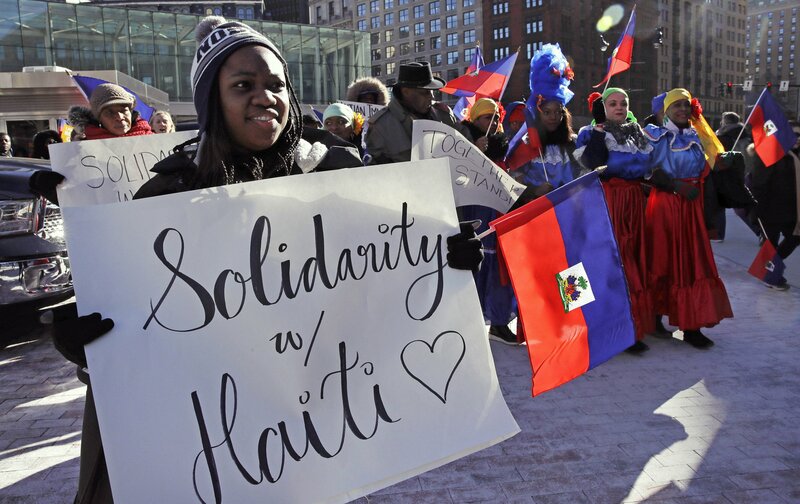 NEW YORK — A trial in New York over the Trump administration’s move to cut off permission for thousands of Haitians to live in the U.S. is spotlighting emails between officials downplaying health and safety crises in the Caribbean nation as they tried to justify the change. The case centers on the Temporary Protected Status program, which has allowed about 50,000 people from Haiti to live and work in the U.S. temporarily since a devastating earthquake in 2010. The emails, filed with documents in the case, bolster the argument by migrant advocates that the Trump administration was so bent on ending TPS that it ignored the U.S. government’s own research showing that Haiti was in no shape to take people back. The non-jury trial in federal court in Brooklyn stems from one of seven lawsuits filed by immigrants and advocates over the 2017 moves to end TPS. The program has allowed about 300,000 people from Haiti, El Salvador, Nicaragua, Sudan and other countries to stay in the U.S. for years after their home countries were upended by natural disasters or violence. In October, a California judge hearing another of the lawsuits temporarily blocked the changes covering people from those four countries, forcing the administration to maintain their TPS status for now. But the Brooklyn case, which covers only Haitians, is the first time the administration’s move to end TPS has been put on trial. U.S. District Judge William F. Kuntz said Monday he expects to issue a decision after both sides file written arguments in March. Whatever the ruling, it is likely to be appealed. Previous administrations periodically reviewed conditions in countries beset by war and catastrophe before deciding whether to grant, renew or expand temporary protected status, lawyers for Haitian migrants contend. But they say the Trump administration followed a very different path this time. Those comments have come up in the New York trial, with the attorneys representing Haitians citing the remark but using the term “s-hole” out of concern for courtroom decorum. The judge, though, seemed offended by the omission. Lawyers for immigrants have argued that the comments show racial bias contributed to the decisions to end TPS. They have contended, too, that the administration failed to follow the usual practice of making decisions based on analysis by staffers at the Departments of State and Homeland Security. “The defendants are entitled to their own opinions, but not to their own facts,” one of the lawyers representing Haitian immigrants, Howard Roin, said in court. But lawyers for the government told the judge that the decision was the product of lengthy consideration and consultation, and reminded the court that TPS was always intended to be temporary. “TPS is not asylum. It is not akin to having a green card. It is a temporary humanitarian response,” Assistant U.S. Attorney Joseph Marutollo said. Haitians living in New York testified they fear being forced to return to their homeland. “It has been really stressful because we don’t know how to plan our lives now,” said Naischa Vilme, a recent college graduate who hopes to become a clinical psychologist.